Do you have an idea how many amazing business ideas are left on the shelf to collect dust because they are not pursued. Dreams are left to die because their creators assumed that he or she didn’t have the time to start a business while doing a job. What a horrible excuse. We have Interviewed the Grishma Mishra Founder of TaginStyle, Listen in her words how she managed her business while doing a job. Hi, can you give a brief about yourself? I am Grishma Mishra, a Banker By profession and an entrepreneur by choice.I was born and brought up in Lucknow, and pursued my MBA from Lucknow University. In my career, I have been associated with multiple MNCs. My mantra is‘If you can’t figure out your purpose figure out your passion’. I try to continuously push myself to strive and do better every day. Like many of us, as a child, my choice to follow a career path fluctuated between varieties of professions from Modelling to Acting to Journalism and so on. The one thing which was always on my mind was to be known by the world and a 9 to 5 job never provided any such thing. What is your inspiration to start the Taginstyle? “Idea is not to live forever, But to create something that will”. This is my inspiration to start my Dream which I named as TagInStyle. How did your journey start towards your startup? One day on a shopping spree I exhausted so much time to buy a handbag of my choice and ended up on buying one at a very high price. I started gathering information about this product (handbags) without which any woman’s wardrobe wasn’t complete. Soon I found out that there wasn’t any proper market neither online nor offline, which would do justice to this product. This product had so much market potential and variety that it needed a totally separate space. Also, the cost of the same product varied too much from place to place and industry standardization was missing. How you funded your startup? The business is self-sustainable with initial capital investment by me. About your company? Why people should opt your startup “Taginstyle”? Since 2017, TagInStyle has become a familiar name in online Hand Bags business. What started out as a hobby has now become our passion. The sole purpose of this company is to provide the best quality of handbags to the women of all sections of the society at their doorstep. The company aims to eliminate exaggerated price charged by retailers and establish a brand that is fabulous and affordable. 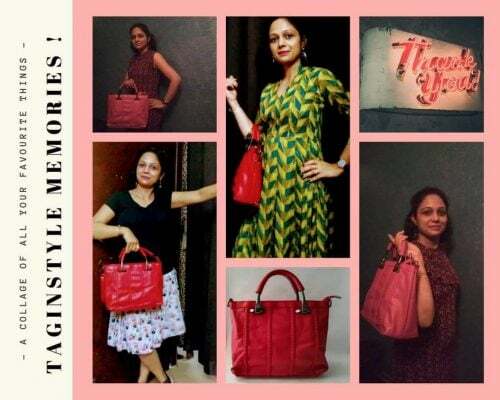 TagInstyle deals with all kinds of ladies bags like handbags, sling bags, wallets, clutches etc. We also plan to introduce a section for men very soon. People should opt for TagInStyle as the product has got huge market potential. Currently, there doesn’t exist any such platform which focuses solely on this product and provides quality products at affordable price. TagInStyle has already worked on generic pricing models for a number of products and is continuously striving to understand evolving customer taste and new fashionable designs. Is your startup growing at good phase according to your plans? What are the upcoming plans from your end? TagInStyle is growing steadily. We have missed a few deadlines but achieved others as well. Its still is at a very nascent stage and growing every day. Our upcoming plans are to increase the target customers to about 0.1 million by the mid of this year. We also plan to introduce an altogether new section of products for men. I think everyone has some inspiring person in their life and some taglines? who are they what is their role in your startup life? I am very much inspired by the success story of Kangna Ranaut, who started off herself and set new standards in her field. I try to follow “Keep Calm and Never Stop Working”. What your stack on the competition? who are your competitors? How you are overcoming them? We are the sole company dealing with quality handbags in a lower- mid-price section. Our top competitors are the fancy brands with built-in customer trust and charming models. We are trying to overcome this by offering at par or even better quality at a much lower price. We have also introduced a section named ‘Customer Memory Lane’ where we ask our customer to pose for a picture flaunting our product (a real-life model). Its very difficult and sometimes even frustrating to manage time between business, work, and family. I continuously work on my schedules and try to finish each task beforehand, so that I could buy some time in between. 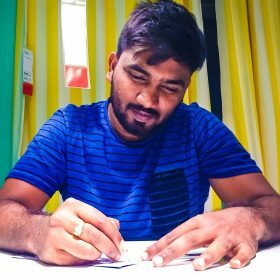 What do you suggest people who are interested in starting E-commerce business? Nothing is Impossible, Invest Time, Plan Things and Focus Customers. What is your opinion on Startupsindia.in? Any Suggestions? It is a defined platform, who gives the opportunity to budding entrepreneurs like me to showcase achievements and reach out to people with similar taste. Last but not least as you are woman entrepreneur Why many women are not into business or entrepreneurship? As per me a woman is the strongest creation of God and can achieve whatever she wants However it also depends upon the social factors like family openness and support.